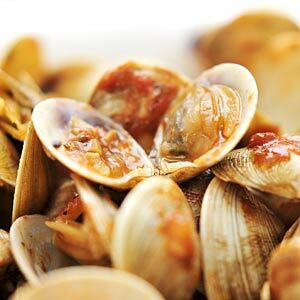 A Family Tradition…Every Memorial Day, my family orders dozens of clams from the Lobster Trap and has a clam bake. Everything we have ever purchased has been very fresh, and the staff will help you figure out how to cook it. Always pick up our food to cook at home and it has never been bad. They sell right out of a gas station but looks are deceiving. Fresh lobster at bargain basement prices in any size you can imagine. Sure you’re buying fresh seafood from a gas station but the purveyors are friendly and helpful and the lobsters are as fresh as I’ve seen in the Rochester area. The small culled lobsters were going for $6 a pound when I was last there and they turned out great when we cooked them at home. I grilled one and my girlfriend turned one into a fantastic lobster quiche and we had absolutely no complaints. We’ll definitely be back for lobster and it seems to be a good option for some other fresh seafood as well as a wide selection of good looking frozen seafood. 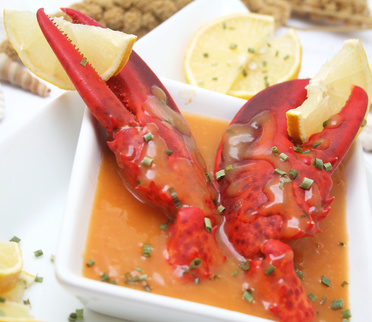 Stop in and enjoy some high society sea bugs without emptying your wallet! 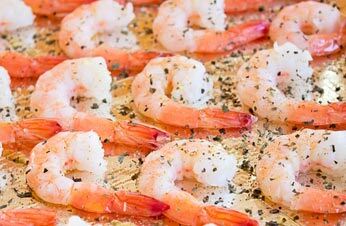 Great seafood at an affordable price! 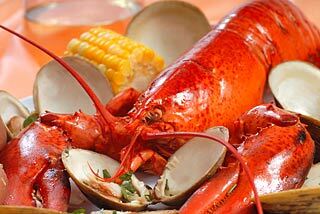 They have the freshest lobster i have ever tasted and a great variety of seafood for literally the best prices in town. i am impressed. A Rochester staple for all of your seafood needs! 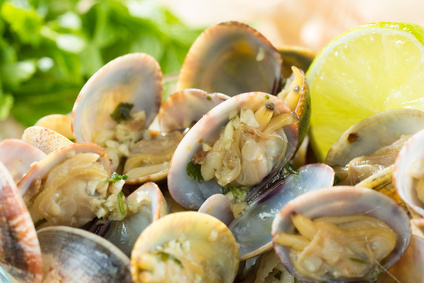 Best fresh seafood in town! The Lobster Trap is a great place to go and grab some fresh lobster or blue crabs! For Christmas one year, my sister bought my father 2 or 3 dozen blue crabs. They are his favorite and hard to come by in Rochester, well at least, I don’t see them often in fish markets. The crab were so delicious we went back for lobster shortly after. The prices here are great. If you are willing to accept eating a lobster with one claw, then you will definitely be getting a giant discount! I think its hilarious that this place is located in a gas station, but it’s a great idea because of the location. it’s super easy to find and their is fast service. Order the lobster roll for a light meal. They make it fresh and do not skimp on the lobster! This place is a kick. It is in a gas station. They sell tons of seafood, good selection of fresh clams. 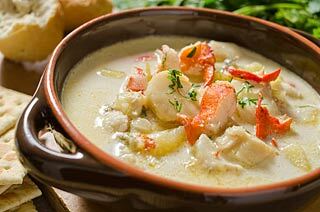 Had a lobster roll that was really good and some excellent clam chowder. Nothing like this in California where I’m from! Wonderful frozen crawfish available for gumbo dishes. Look in the back freezers!